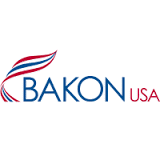 Bakon food equipment, specialist in the production of machines for the spraying, depositing and cutting of products for the industrial confectionery, the retail and the traditional baker. We are an independent, internationally operating company with the headoffice in Goes, The Netherlands. All equipment is made in Goes, where quality can always be guaranteed. To realize a world wide sales we work with an extended network of dealers, so that you can always have contact with your own local agent. For the industry and the retail we made a modular system, so that various stand alone machines can be easily connected to a complete production line. We offer you complete solutions for the production of different kinds of pastry. A good example is the so-called “cake line” for the production of round and square cakes. Our techniques such as spraying, depositing and cutting are combined in one production line. Do you have specific requirements? We offer you custom made machines which are totally adjusted to your wishes. Besides this, we also manufacture a range of standard machines. Thanks to our expertise, practical experience and our dealer and service network we are able to quickly respond to the signals from the market and offer a quick and reliable service. Our service department and our dealers are happy to support you and also keep contact with you after the sales and installation of the equipment.